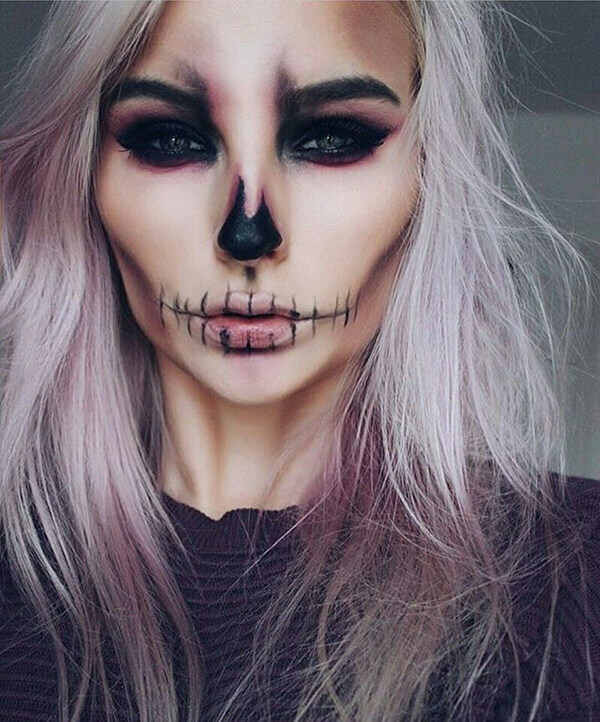 It’s Halloween Night. 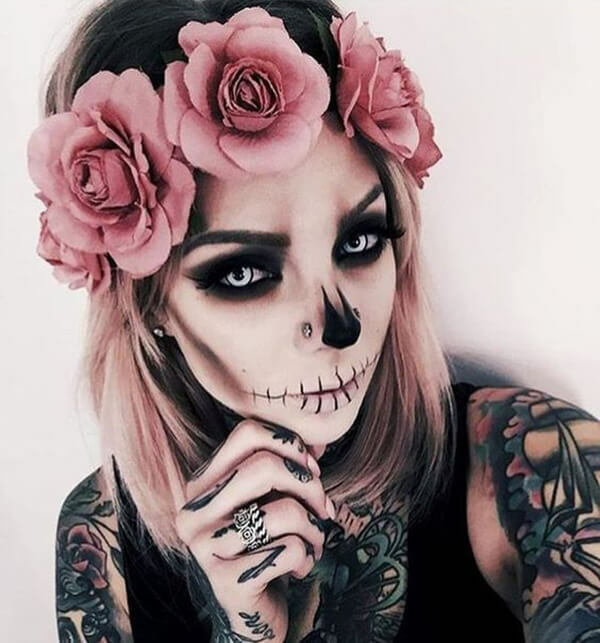 Not a soul in sight. 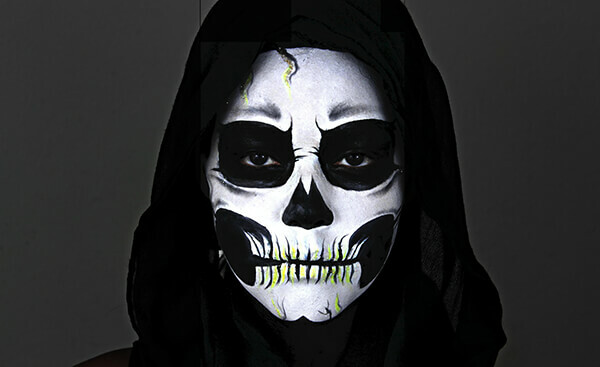 I hear Footsteps. 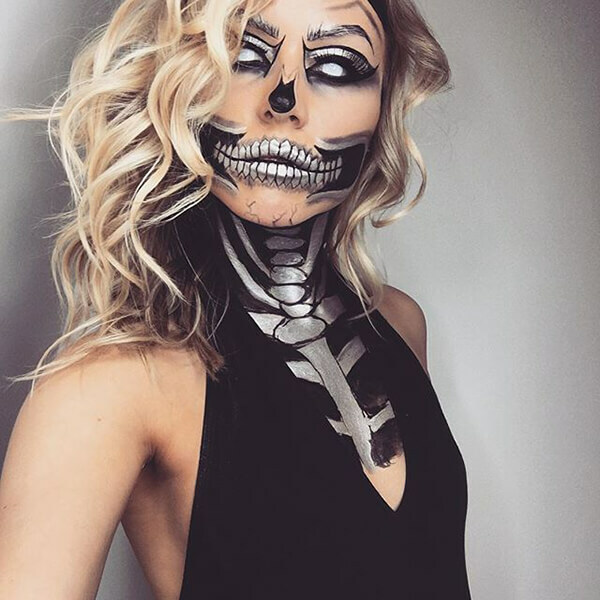 Who’s that coming? 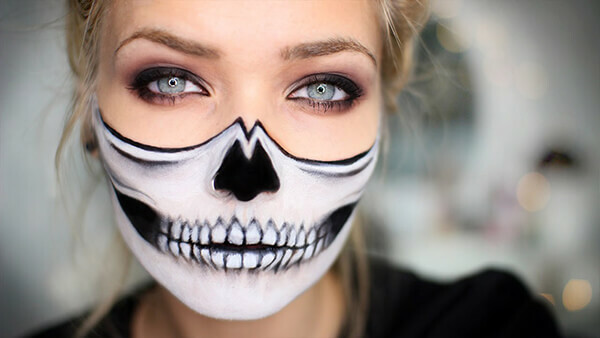 I see a skeleton! 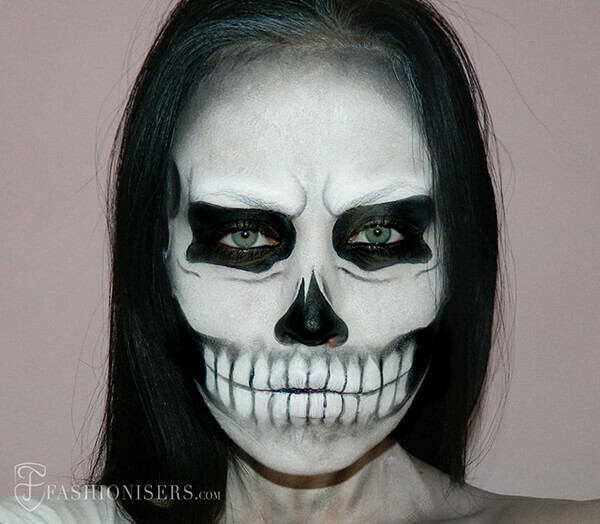 How many skeleton faces you have seen tonight? 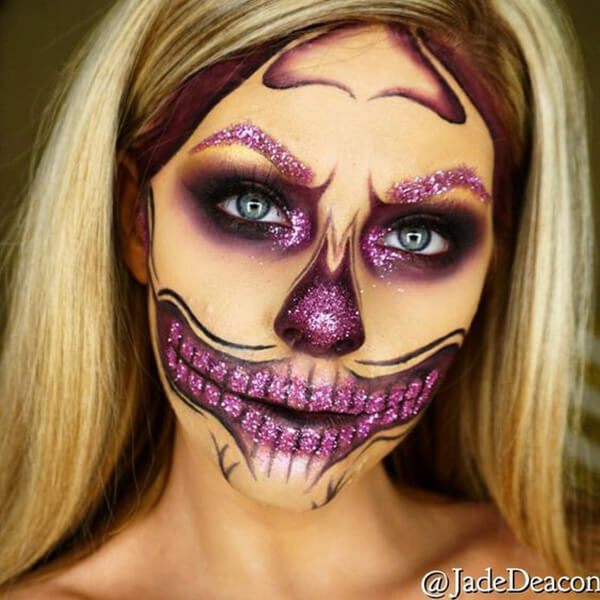 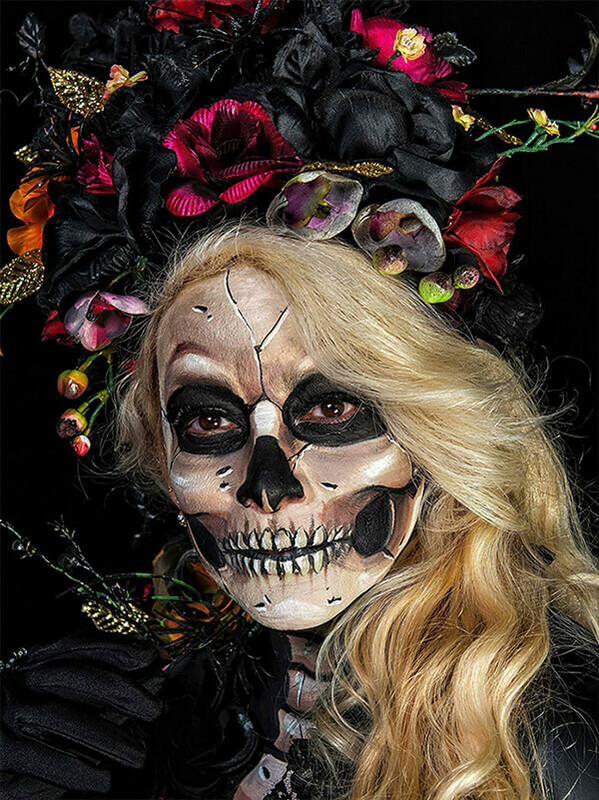 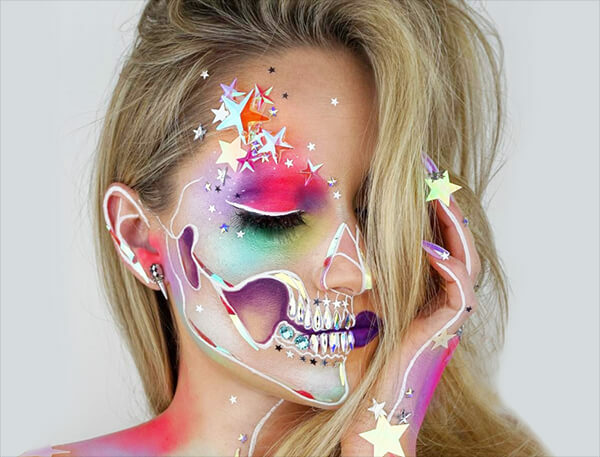 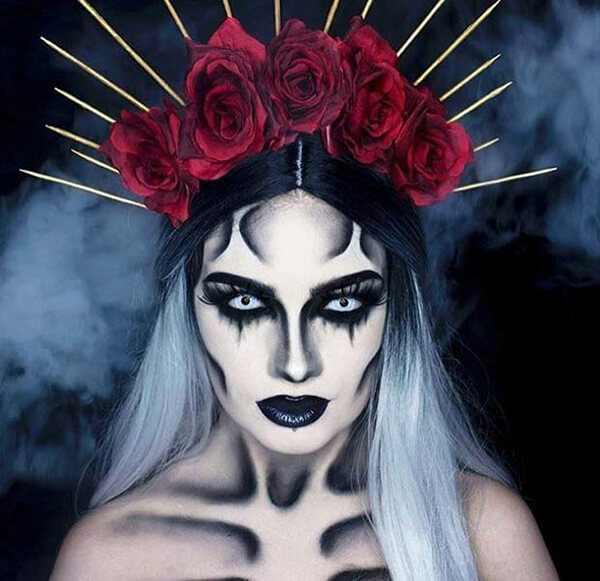 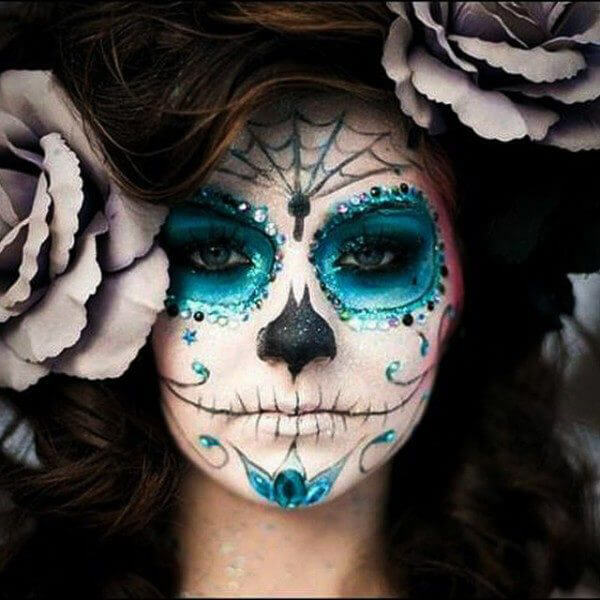 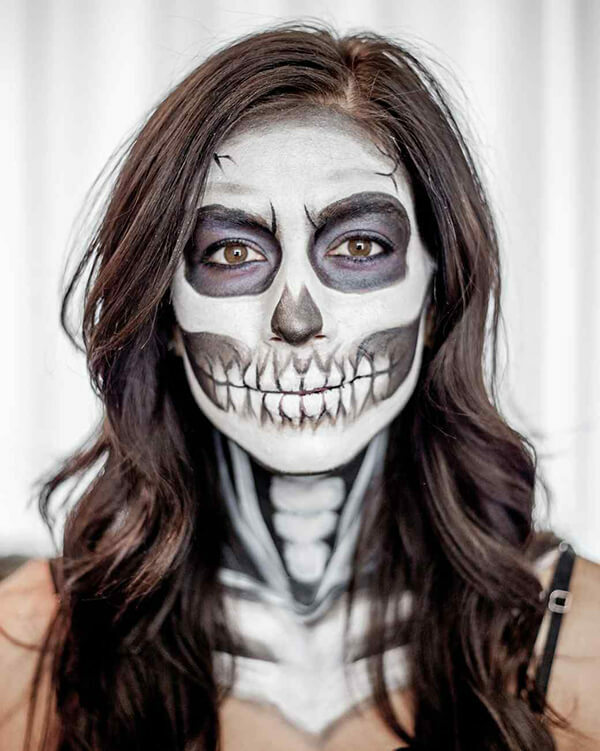 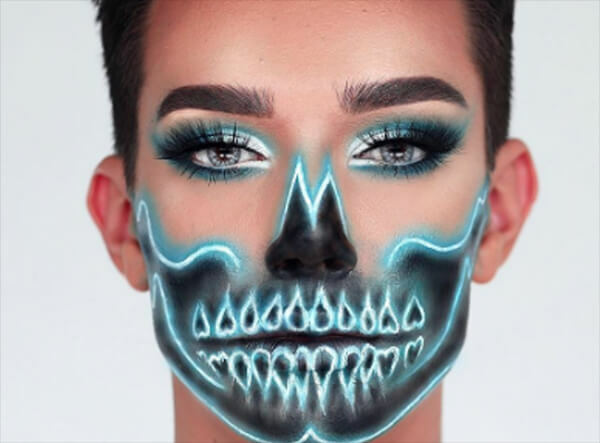 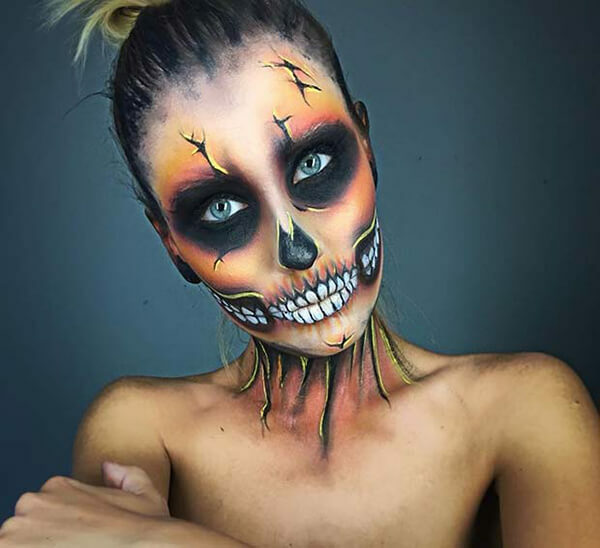 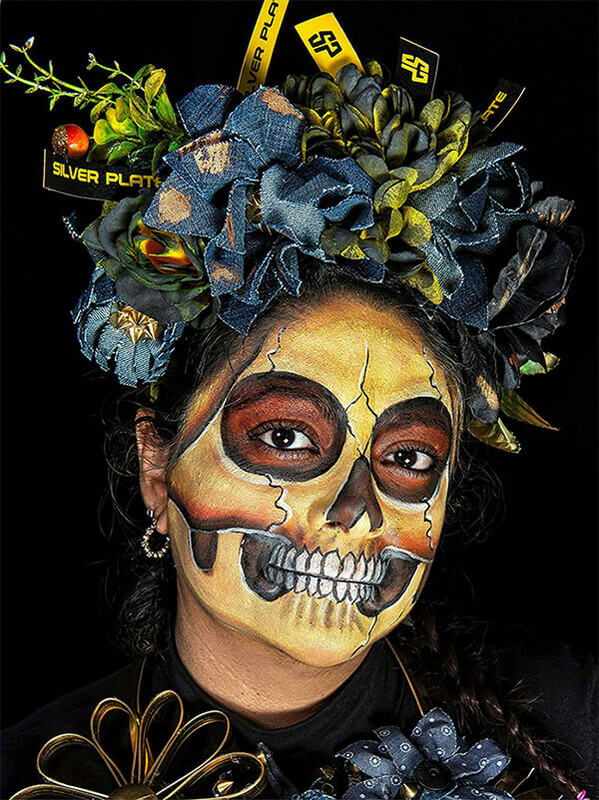 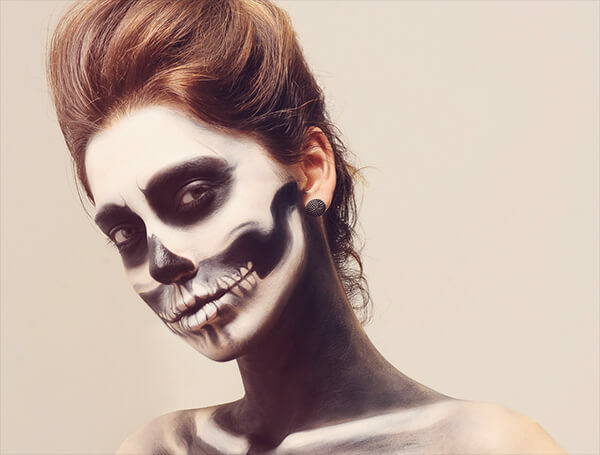 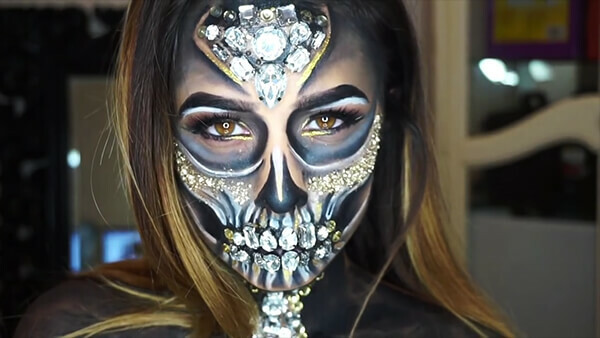 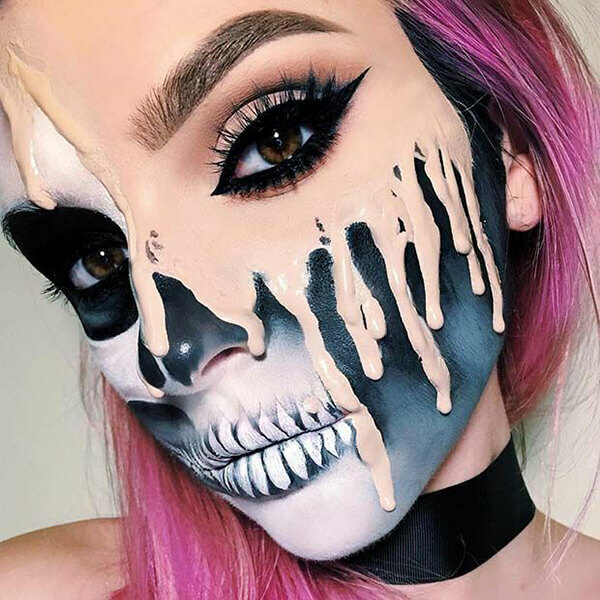 If you think that is not enough, then don’t miss the stunning skeleton makeup shown in below collection. 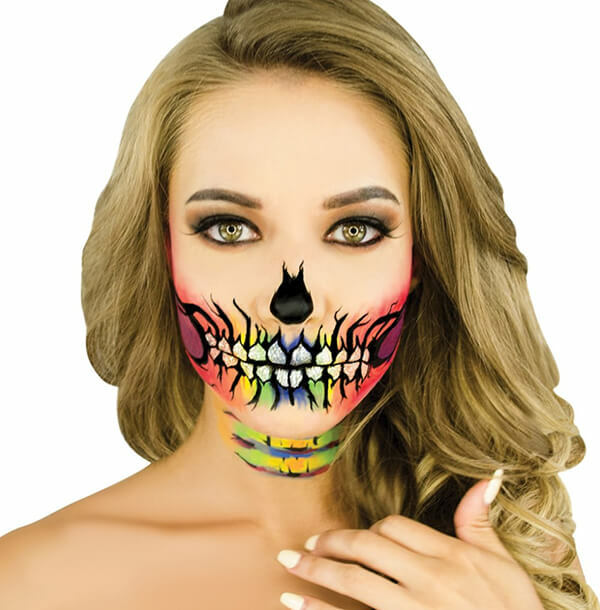 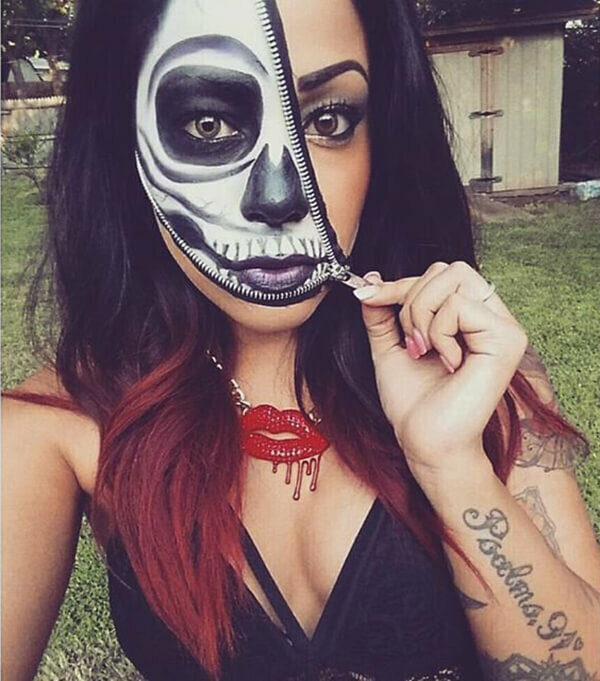 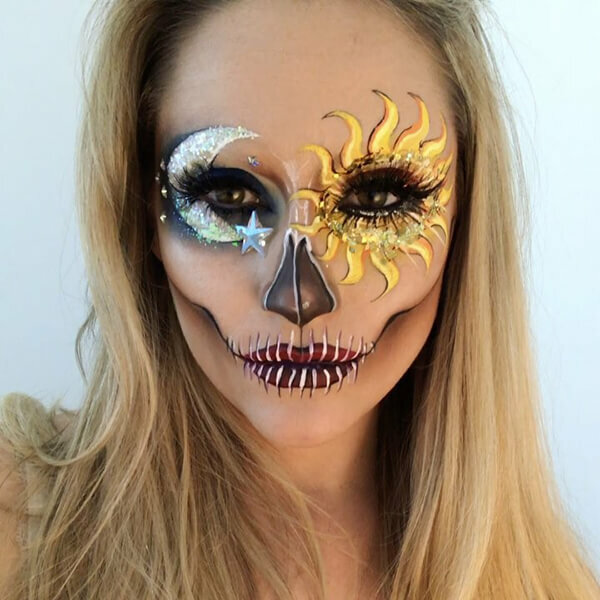 Not matter it is whole face or half face, black&white or colorful, there are so many options to style your face for Halloween. 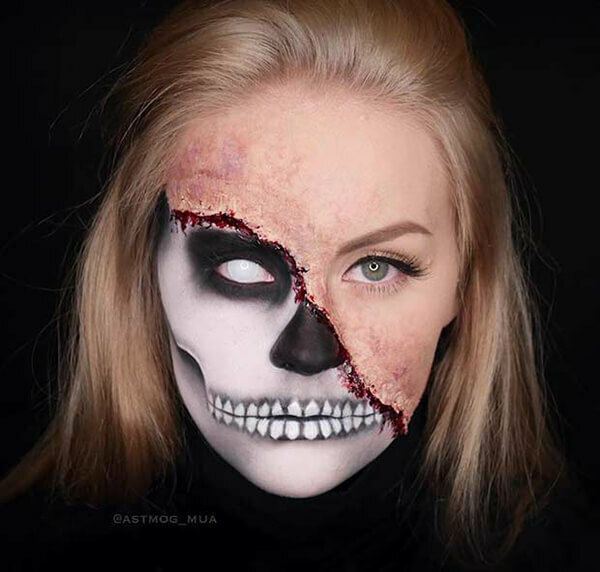 And it is actually a money-saving way to avoid buying a new costume every year. 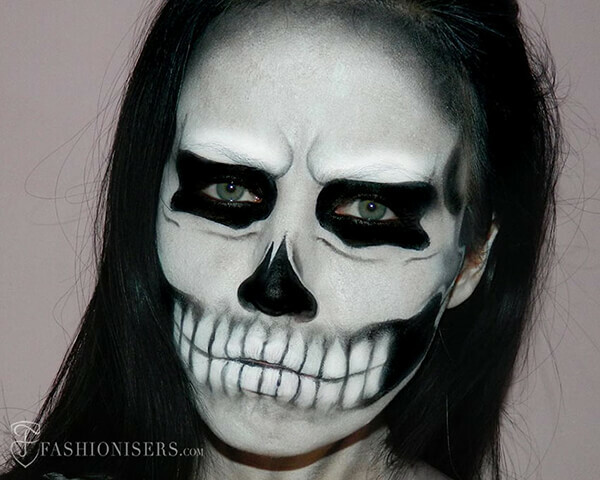 But anyway, let’s enjoy those fantastic spooky face.